Let's #MixItUp ! Instinct Raw Boost Mixers Review! It's so easy with Instinct® Raw Boost® Mixers! relevant to our readers. Instinct is not responsible for the content of this article. It's a new year and we were looking for something to kickstart Happy's health. We've been hearing about "Feeding Raw" has so much Amazing Benefits for dogs. Such as Proper digestion, Healthy skin and soft coat, Energy and vitality and so much more! As you guys know, Dogs are meat eaters and it's so natural for them to eat raw! 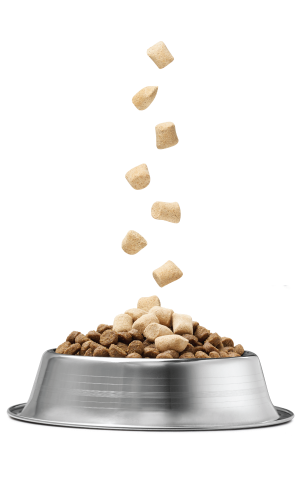 Raw is the most natural form of pet nutrition. 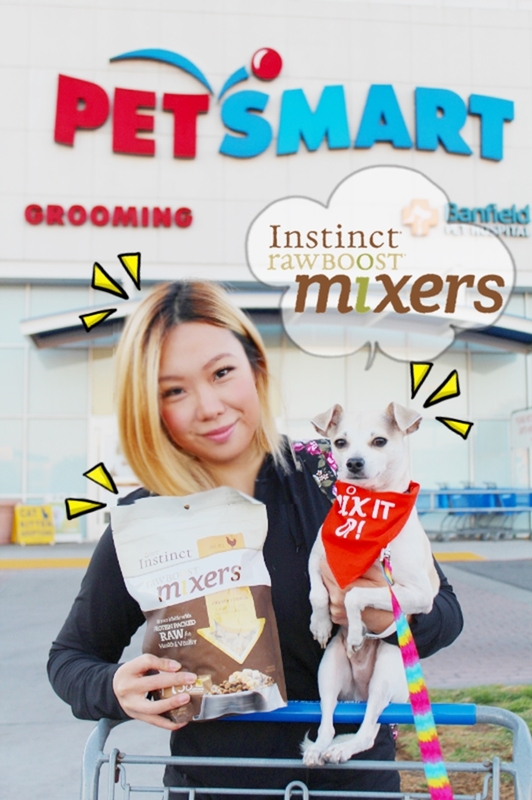 Then we found out about Instinct Raw Boost Mixers! Instinct Raw Boost Mixers is All Natural, Grain Free, Freeze Dried Raw Nutrition in a Convenient and Easy-to-Serve form your pet will LOVE. Where are you Raw Boost Mixers? Nature's Variety Instinct® is the leader in raw pet food! Happy wanted to try this Beef Formula Trial Size Bag, since he always gets Chicken flavor food. Happy was so happy and excited to try it out for the first time! We got the Chicken Formula. They are available in 1 oz, 6 oz and 14 oz bags. Yum! I smell my favorite food, Chicken! Mommy, you are supposed to mix it up! 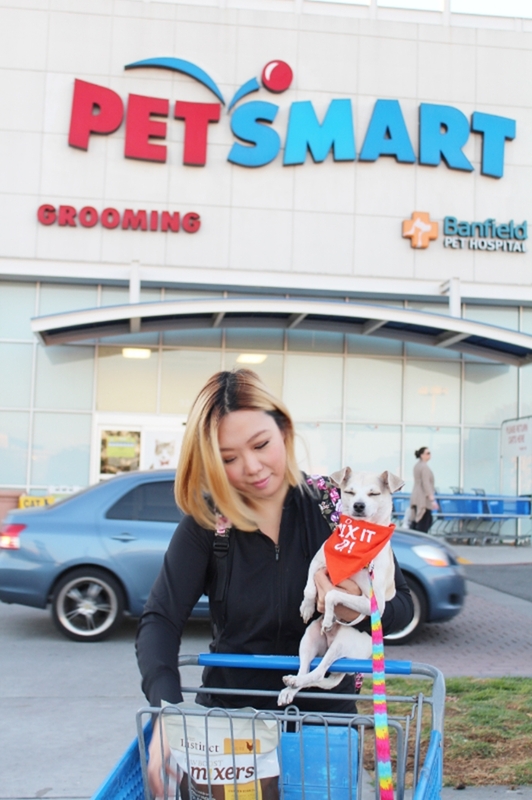 We had so much fun at PetSmart finding out about Raw Boost Mixers! Meanwhile, check out Instinct Raw Boost Mixers online for more information. *This is a sponsored conversation written by me on behalf of Nature's Variety.